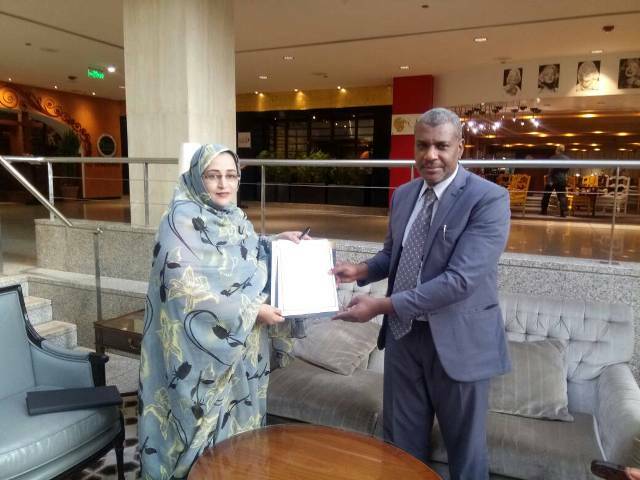 A memorandum of cooperation was reached between the Africa-Arab Cultural Institute and the Union of Mauritanian Women of Media on April 17, 2018 in Cairo. The memorandum was signed by Dr Mabrouk Kraiem, the Administrative and Financial Director of the Institute, and by Mrs Mighlah Bint Laila Secretary of External Relations of the Union. The MoU aims at achieving effective cooperation between the two sides in the field of culture, gender, media, and raising awareness against violent extremism and environmental challenges.